A recent conversation with a psychologist on how Ayogo’s technology works, brought to mind one of our most influential blog posts on the powerful influence of social media and health promotion. In that post we first introduced you to the now-famous Dan Ariely. Ariely has mentored and taught Ayogo’s team members and influenced Ayogo’s approach to designing mhealth, social games and social media applications. Ariely was interested in how Ayogo’s games and narrative elements increased engagement. He was intrigued with our patient engagement platform Empower and its ability to promote positive choices through design. Empower was shaped by insights from Ariely’s Predictably Irrational: it uses gentle social persuasion and narratives that allow the user to open themselves to new beliefs, such as “I am the kind of person who makes healthy choices”. Social psychology and behavioural economics explain the power of social media, showing experimentally that individuals’ initial attitudes are strengthened and intensified through social media discussion (Sarita & Boyd, 2010). We may take on more risky or more conservative choices than we would normally do as individuals, in response to the trends within our social group or social network. Dan Ariely often refers to Social Proof, where we are unconsciously swayed by the behaviour of a group, for example choosing the crowded restaurant over the well-reviewed, empty one. The secret? The power to engage is in the incoming messages! Our analysis of Healthseeker, and other apps, showed that social media interactions amplify engagement. Further, adding delight and playful elements in the form of gamification seems to multiply technology’s motivational impact. We even wrote a White Paper on it. 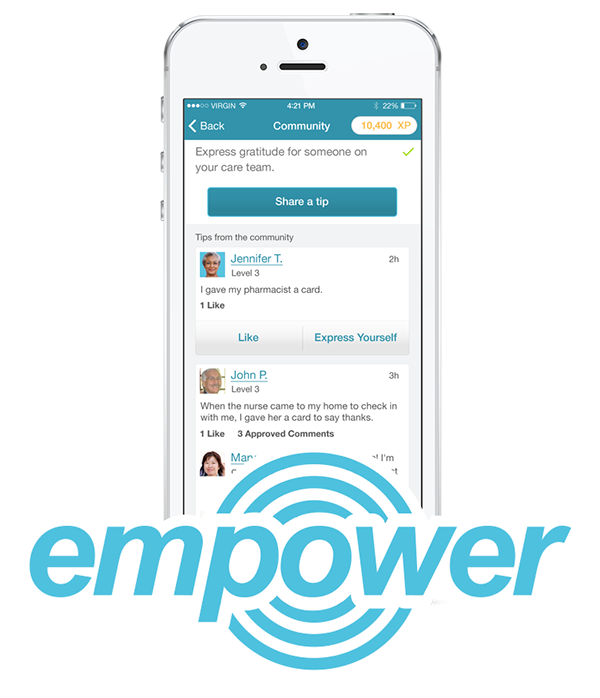 Today we are more convinced than ever in the power of social media- having piloted, tested and iterated our Empower for Obesity to be ever more social. As technology becomes smarter, the core social experience has come alive. Texting, sharing, liking, video-chatting on our phones and tablets are now almost effortless. And the rich social experience – with content, friendship and technology seamlessly blended – is what makes smartphones indispensable. Social games and applications can be what moves us from good intentions to positive action. 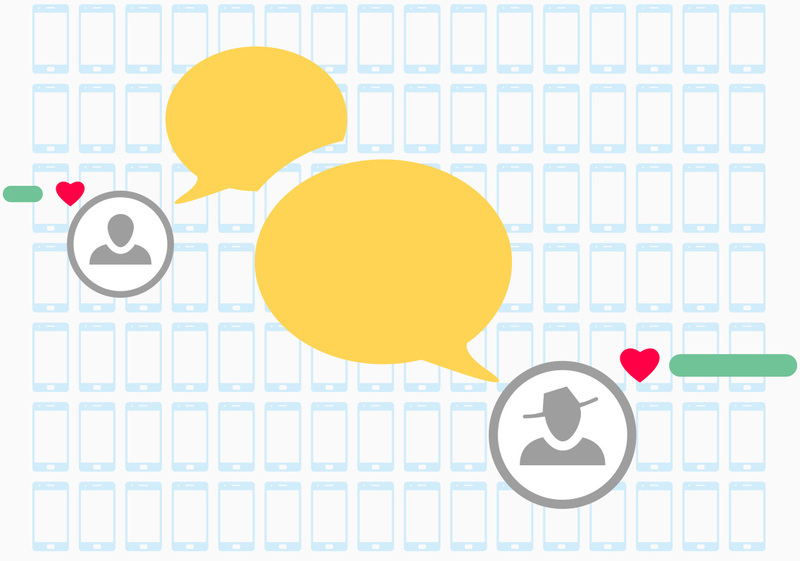 Incoming messages and social interactions sustain engagement. Social games and technology can amplify what motivates us, whether it is the drive to win a competition, status from bragging rights or the oxytocin-rich experience of cooperation. With the right design elements, social applications like Empower provide excellent channels for support, status, affinity, encouragement and positive feedback in healthcare settings. Today patient-to-provider communication, peer-to-peer interaction, and socially-triggered patient action all prove that social features remain the most compelling design elements for patient engagement. If you are one of the many healthcare systems ready to explore the power of social media and health promotion, find out more about Ayogo’s Empower platform. Please contact us today.